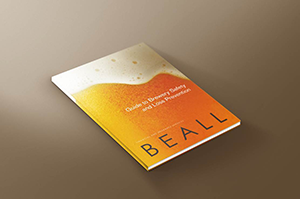 Liquor liability is a risk exposure that every brewery faces. And it’s one of the most severe losses that can hit a craft brewery. 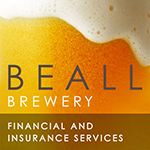 So if you are planning—or participating in—a beer festival, consider carefully how to limit liquor liability exposure for your organization. While establishing the framework of your festival, consider these questions. Does your state require sample tickets or tokens? In your state, can you legally offer an unlimited number of samples for an entry fee? Or, if there is a limit on the number of samples included with admission, can you offer additional samples for sale? How big will your festival’s sample sizes be? How big is the glass? Will your festival include out-of-state breweries? More importantly, do beers not normally sold in your state require temporary registration? How will you prevent participating breweries from serving the underaged? Beer festivals strive to provide guests with a wide variety of beers. But more importantly, festival organizers must ensure the safety of everyone attending the festival. So how can you help your guests drink responsibly? Establish a Responsible Sampling policy—and promote it. Consider partnering with a cab company to provide rides to those who should not be driving. After all, protecting your guests means protecting the craft breweries participating in your festival. And that’s good for all of them, and for the future of your festival, too.